Overwhelmed by what Vitamins to take?! We ALL are!! I’ve tried.. almost ALL of them over the years and I’ve come up with a few of my favorites!! (before you read this, make sure you check with your doctor, nutritionist, or whoever else to MAKE sure that you are getting everything you need. I am NOT an “expert” but I am someone who spends their free time studying this lol) This is for the basic, healthy 29 year old. Yes, you need one but not just any “vitamins“. Make it your business to take one daily. But take a NATURAL vitamin, NOT a synthetic. I once heard that it’s better to starve yourself then take a commercial synthetic vitamin. How do you know if the vitamins on your kitchen counter are from whole foods or if they are synthetic? If the list of ingredients includes an actual vitamin like Vitamin C” rather than an actual food that contains natural vitamin C like “acerola cherry powder”, you can bet that it is a synthetic vitamin. A good example of “junk” nutritional supplements is B vitamins. Most people do not know that most B vitamins are made from petrochemicals! For your best health, take a whole-nutrient B vitamin and avoid synthetics. Synthetics will be listed on the label as follows: Vitamin B1 (thiamine), Vitamin B2 (riboflavin), Vitamin B3 (niacin), Vitamin B5 (calcium pantothenate). 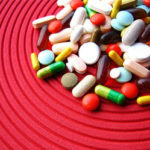 Are all synthetic vitamins and minerals bad? YES! 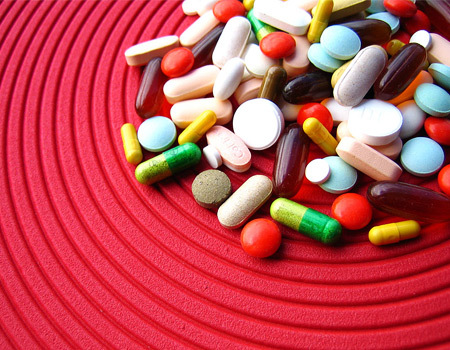 There are many negative health impacts from synthetic ingredients in vitamins & supplments. 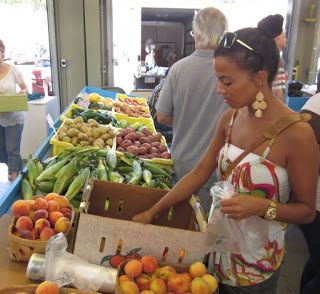 To make this easier– the human body has evolved for MILLIONS of years to digest foods found in nature (plants, fruits). 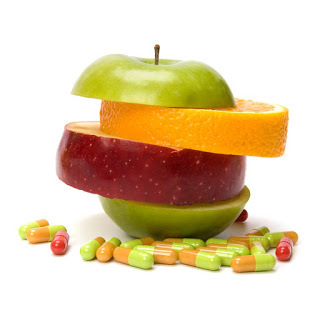 Most of the commercial synthetic produced vitamins are CHEMICAL compounds that can’t be found in nature. Your body doesn’t recognnize those fake ingredients and your body knows the difference between real & fake & always perfers the real thing! So when you are on a search for a great multivitamin, MAKE sure you ask if the product is synthetic of not. Remember, synthetic is pretty much a “fake” vitamin. Pharmacies, vitamin stores, etc have to make their money somehow. So, go to all natural store like Whole Foods or something along those lines. Be sure to have your list of questions. YES, you are going to spend more, but you would spend the same amount on dinner, some shirt or something else. Take great care of your body. **Also, I recommend that you take it at night before you go to sleep! Usually, it’s easier on your tummy! 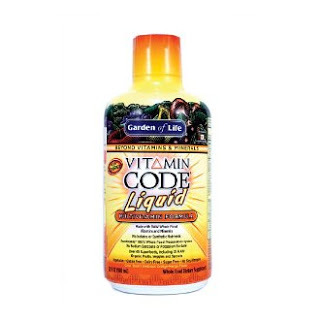 My #1 choice: Garden of Life Liquid Multivitamin–You can get it at Amazon.com for $31.59 it clearly states that it is 100% RAW Whole Food Vitamins and Minerals—No Isolates or Synthetic Nutrients. **DISCLAIMER** A few of my readers that posted about this vitamin said that it tasted horrible. Yes, it does. It’s ALL natural & still one of the best things for you. The more you take it the easier it gets. The apple cider vinegar is a system shock at first, but is literally one of the best things you can put in your body. Note that it does not taste very good. Definitely shocking, but you get used to it and just take a little juice before and after, use a tiny glass ( I don’t drink, but I recommend a shot glass just for this daily vitamin), try to avoid the tip of your tongue and it’s fine. The energy you feel when you use this product can not be matched. mixed with water or fresh squeezed juice from your juicer. You are probably thinking, WHY do I need this apart from my multivitamin? … so as it helps all of the above, you will see THESE results: Clearer skin, better digestion & you’ll get sick alot less because your immune system is built up (less allergies, flu, etc). Digestive enzymes can be used by people who have certain types of food allergies. This is important because of how many people who have food allergies can become SICK of certain foods are not digested properly. The use of enzymes may help to keep a person healthy and to ensure that the person will not feel sick over time. This is especially important for those who might not be getting certain vitamins and nutrients to work for them due to their allergies. 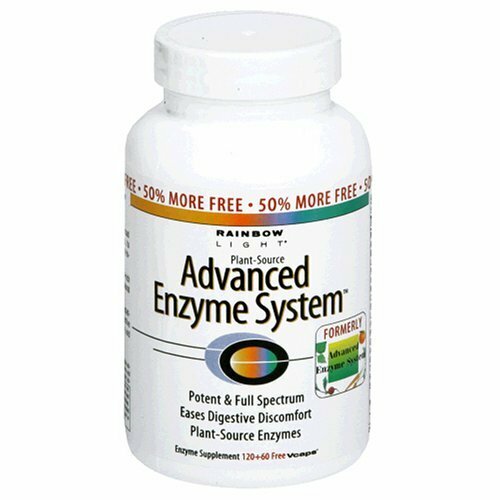 The next part of digestive enzymes is that they can work for those who have certain types of disorders in their digestive systems. These include people who have Crohn’s disease. This comes from how people who use these enzymes can have easier chances with getting their digestive systems to be handled properly. This is critical for those who want to have easier times with getting their digestive systems properly handled. People who have lower back pains can also take advantage of enzymes. This comes from how these enzymes can involve the body working to relieve tensions in the kidneys and other areas of the digestive tract. This may work to make it easier for a person to eliminate one’s bowels over time. This could help to keep a person from suffering from a good deal of problems in the body. The last part of this comes from how a person can easily use digestive enzymes to treat indigestion. This is due to how a crowded digestive tract can cause a person to end up having a tougher time with digesting foods. The use of enzymes will help to get rid of old deposits in the body that have failed to properly digest. This may work to keep the body healthy and capable of handling its foods in a proper manner. These are all examples of people who can use these enzymes to their advantage. People can use enzymes if they have certain conditions in their digestive systems or their bowels. They can also use them if they have food allergies or people with being able to digest their foods. It will be critical for anyone to get any of these foods to be properly consumed over an extended period of time in order for the body to be able to feel as well as it should be. Ladies (or men!) always want that beautiful, healthy hair with a great complextion. I highly recommend Biosil liquid. You can get it at Whole Foods or on Amazon for $22.99. Directions: Take 4 drops per day. Mix in 1/4 cup of fluid, (preferably juice that YOU juiced. (yes, get a juicer, it’s so much healthier for you), and drink immediately; or drop into an empty hardshell capsule and swallow immediately with liquid. This is what I do daily! 3. I take my multivitamin at night! 4. Juice an apple and a pear & drop a couple drops into my cup! ***Also, I highly recommend taking a supplement for FISH OIL or FLAX SEED OIL daily. (you need your Omega 3’s) However, my multivitamin that my doctor perscribed to me includes DHA or Fish Oil. So find a natural one! Remember that taking vitamins aids in better health in general. So start NOW! Don’t wait until you are 60 or 70 and more susceptible to diseases that tend to affect your health. Our body is a fragile instrument because it is not built to handle excess, whether in the form of nourishment, fuel or additives. Unlike machines, it chokes on poisons when ingested in unending doses and mistaken for fuel. Though it has moving, feeling and thinking parts, they can be misused. God has provided us with an “owner’s manual” that tells us how to operate the human body. That manual is the Bible, a book that contains instructions for proper maintenance. Although it isn’t a medical text, it is God’s Word, and in its pages He reveals many basic principles for good physical, mental, and spiritual health. Love you all & cheers to a healthy body! Love it! Thanks or sharing and being a blessing! *goes to amazon and buys EVERYTHING!! * lol! I wanna look as good as you!! Your skin and hair are amazing!! And I've been having issues with digestion and my skin and hair lately! I wanna be healthy!! What multivitamin did your doctor prescribe? Hi! He prescribed Neevo DHA Caps (Reformulated) they are prenatal vitamins b/c my hubby & I want to have a few kids in the future! :)I want to make sure that my body is prepared! Hi, just wanted to check – can men use the digestive enzymes you recommended as well? (checking for a friend) Thanks! Can you see a difference in your skin and hair when you don't take these vitamins? Oh yeah! MY hair is soooooo long! lol Skin looks great! How do you recommend going about finding a Fish Oil or Flaxseed Oil natural supplement? Hi Stacy! I recommend getting a Pharmaceutical Grade of Fish Oil! MAKE sure it’s the good stuff and not the cheap fish oil. Whole food should have a good one—but just make sure it’s pharmaceutical grade! 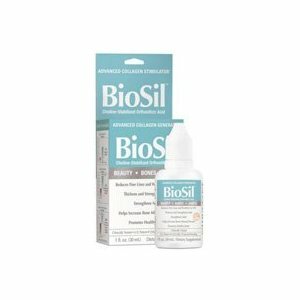 …ordered Liquid BioSil today via Amazon! (thanks!) Plus, I got Iron pills from Whole Foods (not on your list, but it was my doctor's orders lol). 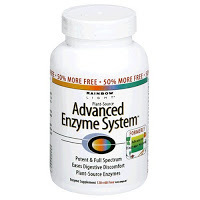 Thanks again – this info has been helpful and I'm looking forward to trying the Digestive Enzymes as well. PS: For the Garden of Life Liquid Vitamin they now have a Fruit Punch flavor that is easier to stomach. So, u take the liquid garden of life multivitamin and a prenatal multivitamin? Or did i misread? Also, regarding the liquid garden of life multi. Does it matter if it's flavored? Thanks so much Heather for this blog! My mom has been nagging me to get vitamins forever now and ive been clueless on what type of vitamins to get this helped soo much! Youre the best, may God continue to bless you in overflow! Could you possibly include an example of your daily diet after breakfast? It would really help! `what happens if your 16 is this still good for you to use or am I to young ? Your blog reminds me of this blog I used to read a few years ago, back in 09. It was called simply-something…I forgot, but you two gals seem to share the same style in content. She would post about her relationship with God and then have a health post right after, with a few surprises in between. healthy way to start the day!